Transfer ownership of a MD real estate property from two sellers to two buyers with this Maryland Warranty Deed for joint ownership with rights of survivorship. 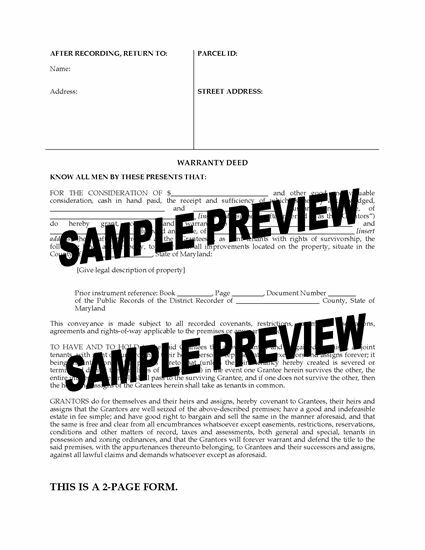 This is the type of Warranty Deed that is used to convey a property from one couple (spouses or partners) to another couple, who will live in the property. The sellers (grantors) covenant to the buyers (grantees) that they have good and marketable title to the property, they have the legal right and power to transfer the title, and they will defend the grantees' right to possess the property. community property without rights of survivorship. The Warranty Deed includes a Community Property Agreement to be signed by the buyers, if applicable. 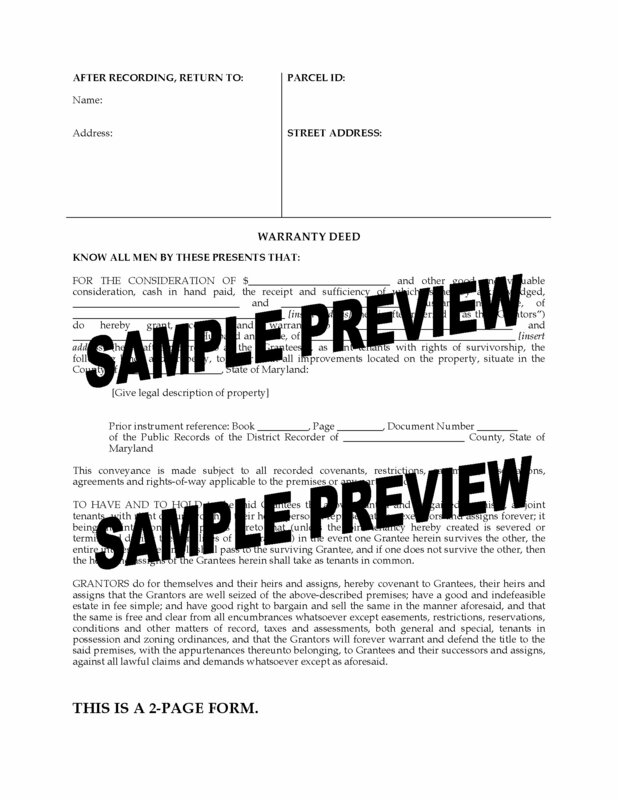 This Maryland Warranty Deed for Joint Ownership template is downloadable and easy to use.